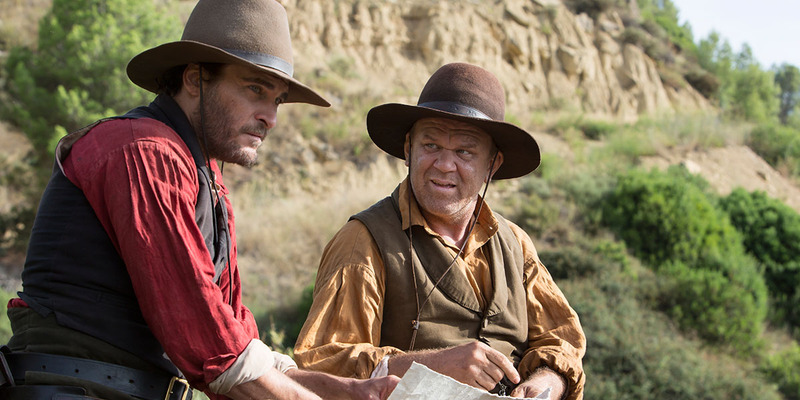 Eli (John C. Reilly ) and Charlie Sisters (Joaquin Phoenix) are two notorious gun slinging brothers living in Oregon in the 1850s. They work for the Commodore, a mysterious wealthy figure who plans their course of action. The two bothers are told to find Hermann Kermit Warm (Riz Ahmed) a chemist who has created something quite wonderful. When another of the Commodore’s men, John Morris (Jake Gyllenhaal), finds him first, they think their work is almost done, but that is before Morris changes sides and disappears with Hermann! The film is based on Patrick deWitt’s award winning novel of the same name, which was published in 2011. The film is directed by Jacques Audiard, who previously directed A Prophet (2009) and The Beat That My Heart Skipped (2005). The film changes a substantial amount of the plot from the novel. Indeed deWitt said of the letting his story go “It’s not an easy thing to do, it’s true. But I always took solace in the thought that it was in the hands of people who were respectful of the source material and really wanted to bring that all to life”. The film does have some light-hearted moments, like Eli discovering the wonders of indoor plumbing and a toothbrush! We see these every day items through his eyes as dazzling innovations! To say there was a lot expected from this work would be an understatement. This is Audiard’s first English language film but his previous work is hugely impressive. He won the Silver Lion last year in Venice for Best Director for this work. To heap further pressure on top, it also has a great cast and a fantastic novel as source material. So what could possibly go wrong? Unfortunately, it doesn’t quite deliver with the whole being slightly less than the sum of its parts. The main failing is the plot which is a little meandering. We keep waiting for the story to kick into gear but it never quite delivers. It’s neither a traditional western, nor the art house film it aspires to be. What we get instead is some impressive acting and well-developed characters. It’s definitely enough to entertain you for a couple of hours, but not quite the classic you may have hoped.